When it comes to safeguarding your property and comparing the pros and cons of the many products on the market, it's wise to go with a tried and trusted name - so make sure you secure the best! There is little point in going to the trouble of deciding you need to do something, weigh up all the options available and then go for a product that is sub-standard, a cheap alternative that's only success will be in giving the thief a chuckle as he makes off with your treasured vehicle, property, possessions. Quality is probably going to cost a bit more but isn't that worth it when it comes with the reassurance of being able to deter the thief, avoiding the inconvenience and heartbreak that all too often accompanies a crime. We would always advocate buying quality products, something with good performance ratings sold by reputable companies - anything less has to be false economy. Our products are made with the strongest materials to the toughest specifications with their design and manufacture perfected by our vastly experienced team over 35 years in the industry - we've just celebrated our 35th anniversary! We are proud of our record which sees us regularly partner the police, businesses and other agencies in trying to prevent crime through simple, easy to install products that make life just that bit harder for the criminal. Bulldog is a member of Secured by Design, an official UK police security initiative with the goal of designing out crime through physical security. It is made up of a group of companies with a proven track record in producing security products that pass standards and tests nominated by the police. Products marketed by member companies must display an effectiveness in reducing or preventing crime. Secured by Design official figures show developments where products and materials used meet these high standards are 75% less likely to be burgled and show a reduction of 25% in criminal damage. They also reveal that the Association of British Insurers has estimated the introduction of these standards across the country would save the economy more than £3.2bn over a 20-year period. 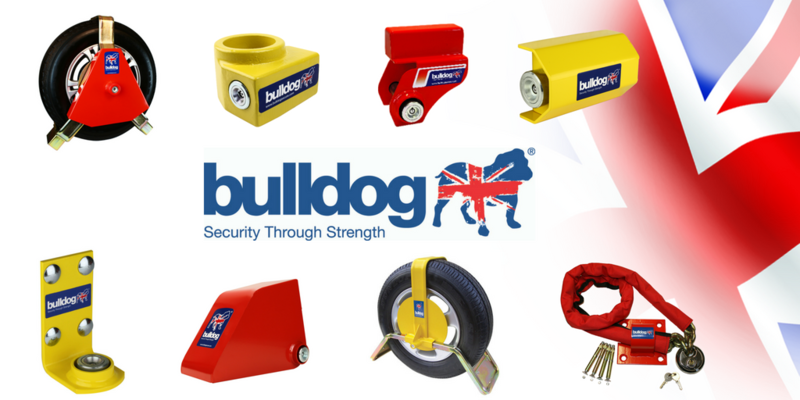 Preventing crime is an uphill battle but Bulldog is one of a number of companies across the country committed to doing all we can to reduce the threat by producing high quality products that will be a deterrent to the criminal. So whether it's home and building, vehicle, equestrian, cargo, plant equipment or personal security you are looking at, give our team a call on 01952 728171 and find out how we can help you.